Paris (AFP) - Success in Hollywood has not helped the White Helmets humanitarian group which said Tuesday that government funding for its life-saving work in Syria is set to drop in 2018. 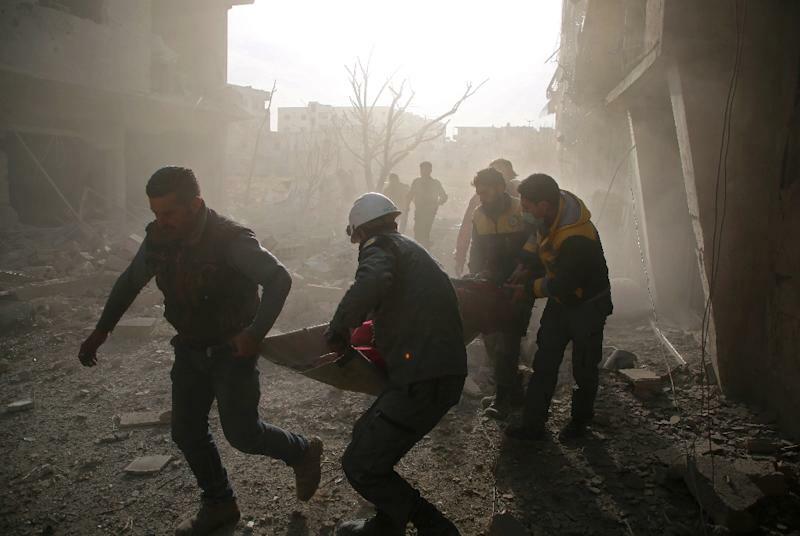 The group, whose 3,700 members rescue civilians trapped under rubble or caught up in fighting in Syria, faces a major budget shortfall compared with last year, vice-president Abdulrahman Almawwas told reporters in Paris. "We have started to make the budget for 2018. The decrease is about $6 million (five million euros)," Almawwas said, adding that increased donations from individuals had only partly compensated for the decline. Asked which states were the biggest donors in 2017, he named the United States and Britain, but declined to identify the governments whose financial support was set to decrease. The fall from $18 million to $12 million has led the group to delay taking on new people in the war-shattered country at a time when the Syrian regime has stepped up attacks on rebel-held areas. "We have many requests (to join) but we decided to stop for now because it would not work if we joined them up and we will not find operational funds or stipends," Almawwas explained. 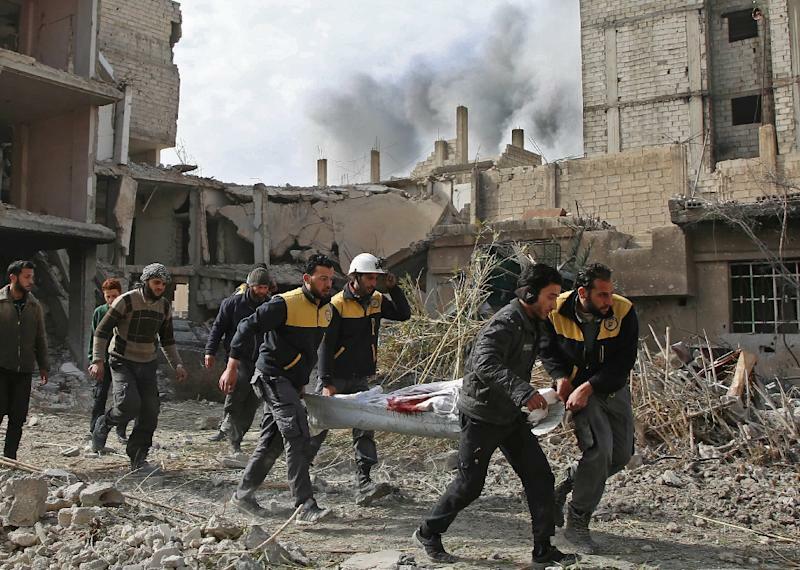 The group estimates that 400 civilians have been killed or injured in attacks over the last week on the besieged rebel-held enclave of Eastern Ghouta near Damascus, where 300 White Helmet volunteers are active. It fears a humanitarian crisis on the same scale as the one seen in Aleppo in December 2016 when forces loyal to President Bashar al-Assad finally recaptured the city after relentless bombing. "I think it's the same as Aleppo because they have started targeting hospitals and that is exactly what happened in Aleppo," Almawwas said after a meeting with an advisor to French President Emmanuel Macron. "They still have some food (in Eastern Ghouta), but it is really, really expensive," he added. Last year, a Netflix documentary called "The White Helmets" won an Academy Award for best short documentary, while a second film "Last Men in Aleppo" focused on the group has been nominated for an Oscar in 2018. Almawwas urged Macron to do more to push for a ceasefire or even a no-fly zone over Syria, which analysts consider impossible without the agreement of Syria and Russia. But Macron, who called for Russia to help ease the humanitarian suffering in Syria last week, is seen as struggling for influence in Syria. Since the White Helmets began their work in 2013, 218 of their volunteers have died and another 500 have been injured, Almawwas said. The group has been regularly accused of spreading anti-Assad propaganda and acting in Western interests by its opponents, particularly in the Russian state media. Syria's war has killed more than 340,000 people and displaced millions since it erupted in 2011 with the brutal repression of anti-government protests.